Video games, by their very nature, are rarely about consequences. The vast majority of them are built around an escalating concept of trial and nature. As the game-inspired “Edge of Tomorrow” made clear in its alternate title: “Live. Die. Repeat.” That is the basic motto of the video game from “Pac-Man” to “God of War.” Your character dies and learn how not to die when you get to that part of the game again. A select handful of games defy this structure, delivering consequences that matter and choices that shape the narrative instead of merely keeping you alive to die and die again. 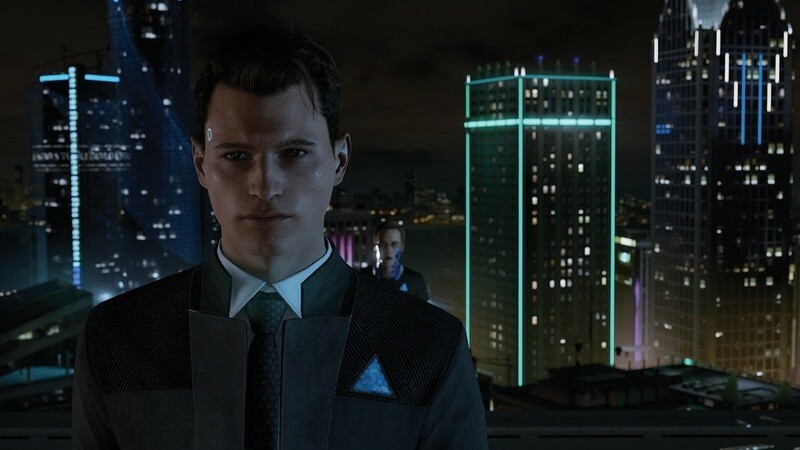 We’ve written about the Telltale Games but the more elaborate, ambitious version of this concept has come from Quantic Dream and David Cage, the writer/director behind the masterful “Heavy Rain,” disappointing “Beyond: Two Souls,” and last week’s “Detroit: Become Human.” Over the course of about ten hours of gameplay in “Detroit: Become Human,” you will make hundreds of choices—from how to respond in a dialogue sequence to who to save and who to sacrifice. These choices are not merely cosmetic. They unlock different narrative paths, changing the story in minor and major ways. If you play it as I do all QD games, choices are final. Characters can die. You will have regrets about mistakes. But this creates a different kind of gaming experience that taps into a different part of how we appreciate art. I wish more games were so ambitious. 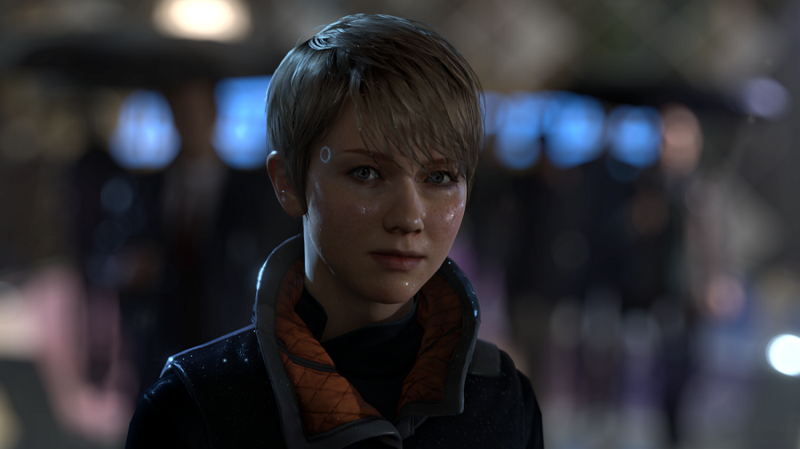 “Detroit: Become Human” takes place twenty years in the future, in the Fall of 2038 in the Motor City. With a narrative that feels influenced by “A.I. : Artificial Intelligence,” “Westworld,” and the Michael Fassbender character from “Prometheus” and “Alien: Covenant,” Cage’s story is about a future in which androids are a regular part of daily life. And, well, let’s just say that humans, for the most part, have not used the technology well. Androids are treated like slaves, abused and mistreated because they’ve been sold as property and not as sentient beings. However, that’s starting to change. Some androids are going “Deviant,” breaking off their programming and fighting for equality. In alternating chapters, you control three androids. Markus (motion-captured played by a perfectly-cast Jesse Williams) is the android of a kindly old painter named Carl (Lance Henriksen). When that relationship is torn apart, Markus is left for dead, but he returns and finds his way to a community of revolutionary androids known as Jericho. There you’ll have to make a number of very difficult decisions about how to lead a revolution for equality. Do you demonstrate peacefully or make your points through violence? How much are you willing to sacrifice? My Markus arc was fascinating because I was relatively diplomatic and peaceful until I made what I considered a mistake in one of the chapters, running away when I should have stayed. 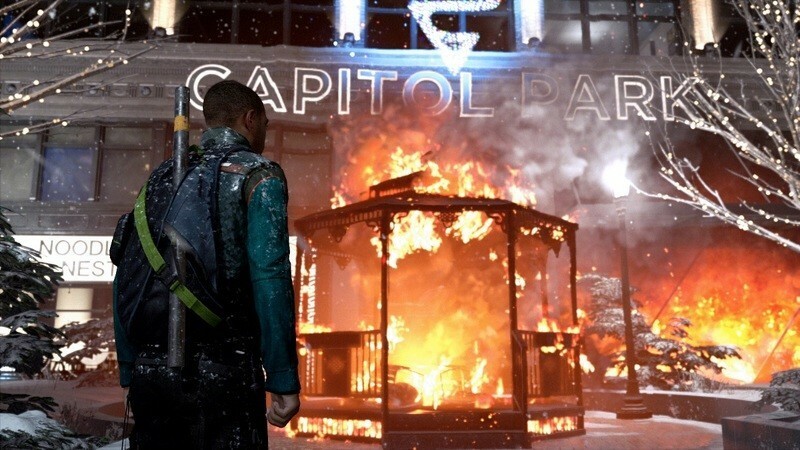 The regret in that moment changed my Markus into an extreme revolutionary, someone willing to do anything, including violence, to get what I deserved. I wasn’t going to run away again. This was an experience that felt organic in a way that games rarely do. It wasn’t about surviving what was next, it was about changing my story because of what had happened before. Finally, there’s Kara (Valorie Curry). The three narratives of “Become Human” all have distinctly different undercurrents. Markus is about revolution, Connor is about investigation, and Kara is about survival. She is an android bought by an abusive, awful man, who happens to be a father to a girl named Alice. If your story unfolds like mine, Kara escapes with Alice, and much of her story is about trying to keep both of them safe. You’ll have to decide where to take shelter, who to trust, and how to get Alice out of the increasing unrest in Detroit. Chapters in “Become Human” run the gamut from the mundane to the lethal. Early on, you’ll literally have to do things like take out the trash as Kara cleans the house. However, even minor decisions can completely alter the narrative. As Kara is doing her chores, for example, she may find something that changes how a later encounter plays out. And most of the decisions within “Become Human” have to made very quickly. In the final hours, these decisions are often ones that come with potential loss of life. From what I understand, all three protagonists can die relatively early on, totally changing how the rest of your game will unfold. (I’ll be honest that I lost one although it was very late in the game, as well as a few supporting players, but not too many.) And the end of each chapter reveals a flowchart of how the choices you made progressed through the story, and you can even see the percentage of people worldwide who made that decision. I had one chapter that ended with a result that only 1% of players ended with. And there are literally hundreds of segments in my flowcharts that are unopened because of previous decisions I had made. While this last statement may lead some to replay “Become Human” to see those alternate narratives, I’m not sure I will. I made a decision to never rewind or load a game so I could alter a choice that I regretted, and there were certainly a few. So that playthrough for me is “canon,” if you will. It is this story. And mine is different than nearly anyone else’s. In that sense, it is collaborative art, authorship shared by Quantic Dream and how I played the game. And it’s art that plays with themes of so much great art, including regular discussion of empathy and sacrifice. Maybe I’ll play it again in a few years (I did so with “Heavy Rain,” which is another QD title I can’t recommend highly enough and enjoyed it) but for now I’ve put Markus, Kara, and Connor away, confident that their story is over. At least for me.